Living in an apartment, regardless of its size, can be challenging for a family with kids. It is something you can feel as soon as the baby comes, and that can become more difficult when your kids grow to be toddlers who keep running around and touching everything. However, this doesn’t mean that it is impossible to make your apartment family-friendly. 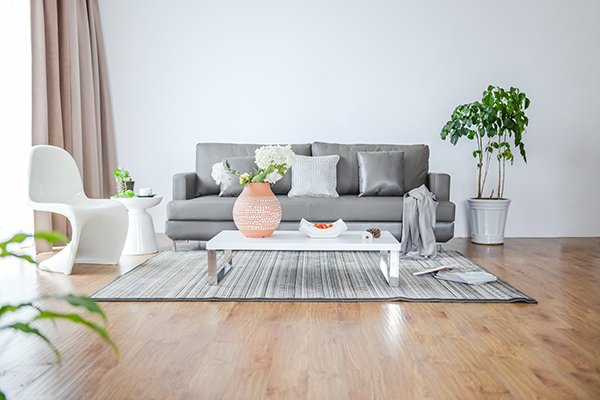 You just need to make wiser choices when it comes to décor, furniture shape, materials, and arrangement and does your best to make your home safe and warm. Here are a few tips that will help you succeed. Neutral colors are the simplest when it comes to fitting in different styles of furniture, and you will have more freedom with decorating. This also goes for the nursery which should grow alongside your babies, so that it can later be transformed into a kids’ room without effort. It is particularly important to find a quality paint that can resist dirt and stain, and that can be cleaned easily in cases of minor disaster (e.g., chocolate pudding on the wall). 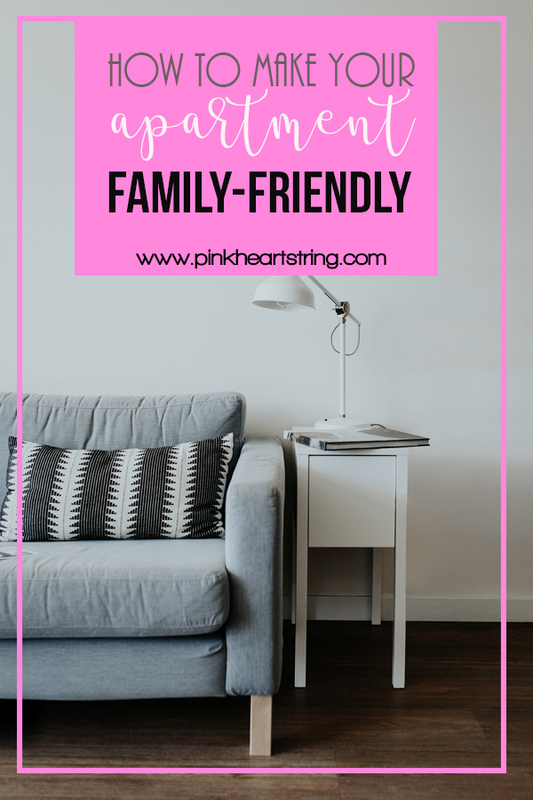 Simplistic furniture with clean lines and sharp edges is a timeless choice, but it won’t look as nice when you put on baby proofing corner guards. That’s why it is better to invest in furniture with rounded edges right here in the start and save yourself the trouble. This includes much more than just coffee tables, dining table, console tables and closets. You should also go beyond the living room, and think about getting a gorgeous freestanding oval bathtub, which will provide your bathroom unparalleled elegance, alongside the added safety. If you are one of the people who like to stuff their home with glittery, breakable accessories, we’re sorry, but you’ll have to give them up. There is no room for sensitive trinkets in an apartment with kids. Not only will you need the extra storage space for much more necessary things, but they will also be in danger of breaking, and thus causing serious damage and even hurting your kids. 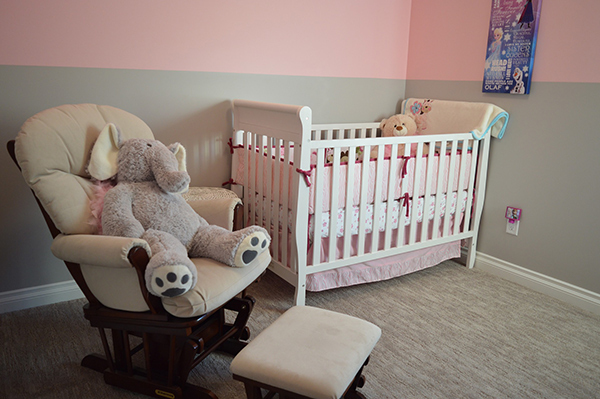 The nursery is, naturally, the most important room in the house when the baby comes. Before you move on to the aesthetic, you should make this room fully functional. This includes getting a quality crib (and a mattress equipped with organic bedsheet), a dresser for all the tiny clothes, a lot of storage options, an armchair and an ottoman for your own comfort, and a comfy rug for a soft landing spot. As for the design style, you should choose one and try not to get overboard. You don’t want to overwhelm the little one’s eyes, and you do want the room to transition into early childhood with your baby. You don’t want to wake up one day only to see your living room is invaded by a bunch of stuffed toys and LEGOs (you know how painful stepping onto one is). That’s why you need to design a designated play area. While there will certainly be one in the nursery or kids’ room, you probably want to have your kids in your eyeshot so you can have a small nook in the living room with a playmat and some shelves for the toys. You can also add a teepee in the room too! Check out some ideas on how to add a teepee for your child's room. While you can replace the furniture, you can’t do the same with the staircase, doors, and the kitchen. Do your research about the best way to make these parts of your home safe, by using stair gates, slip-resistant rugs, doorknob locks and outlet plug covers. 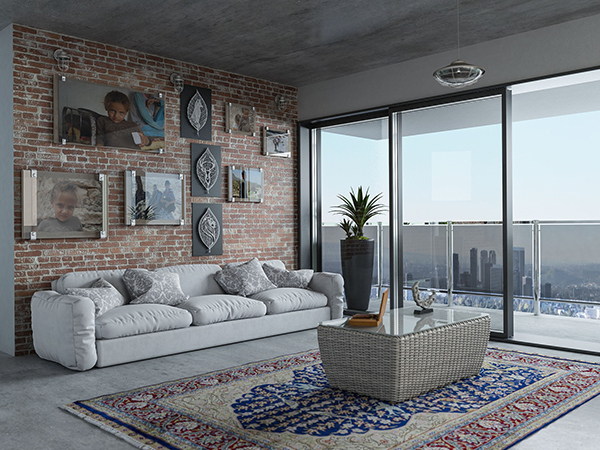 ● Keep statement furniture pieces stain-resistant (e.g., horsehair, leather, vinyl) and dark or patterned. ● Use Roman shades instead of curtains. ● Leave floor space for kids to move around. ● Lose the side tables. ● Choose scones instead of lamps. Your home changes drastically when you have kids. As a new parent, you need to achieve the middle ground between a trendy, stylish décor and daycare appearance. Follow the tips we gave you, and you will succeed to make a kid-friendly home.